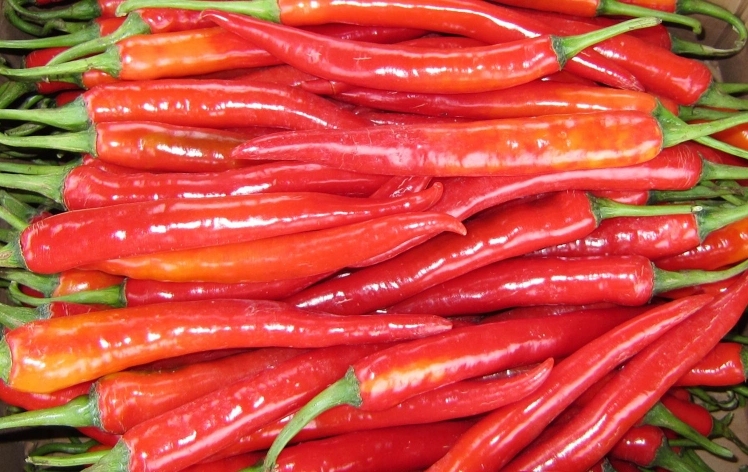 Here we have selected a few of the most popular Thai Chilli varieties for you. This is the Birds Eye Chilli plant, probably the HOTTEST chilli plant you will ever grow! 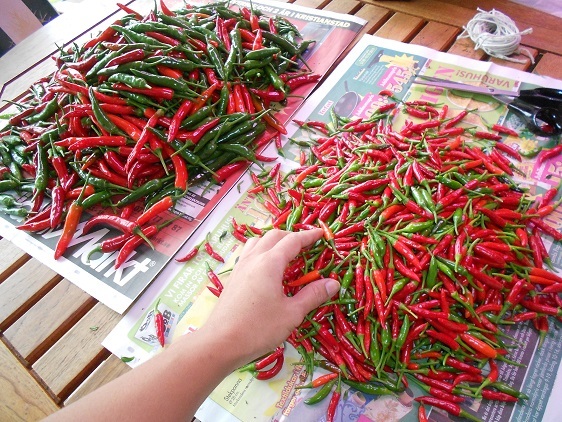 Very easy to grow, as are all chillies, and incredibly satisfying as it will be covered in edible fruit! These chillies are super hot. They're used in cooking worldwide and are easily dried for storing to be used at a later date. When dried they last up to a couple of years without going of and no, they don't loose any of their strength with time! 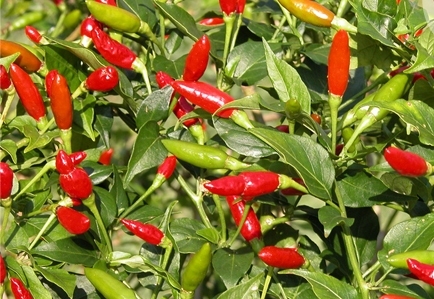 A fantastic, extremely hot, dwarf variety that produces a prolific yield. The flowers and upward pointing fruits start green and turn bright red and are produced throughout the season. These are ideally suited to a windowsill or patio containers and make equally attractive ornamental plants. WARNING – When handling these seeds you should wear gloves or thoroughly wash your hands afterwards as the seed residue will irritate / burn sensitive skin. 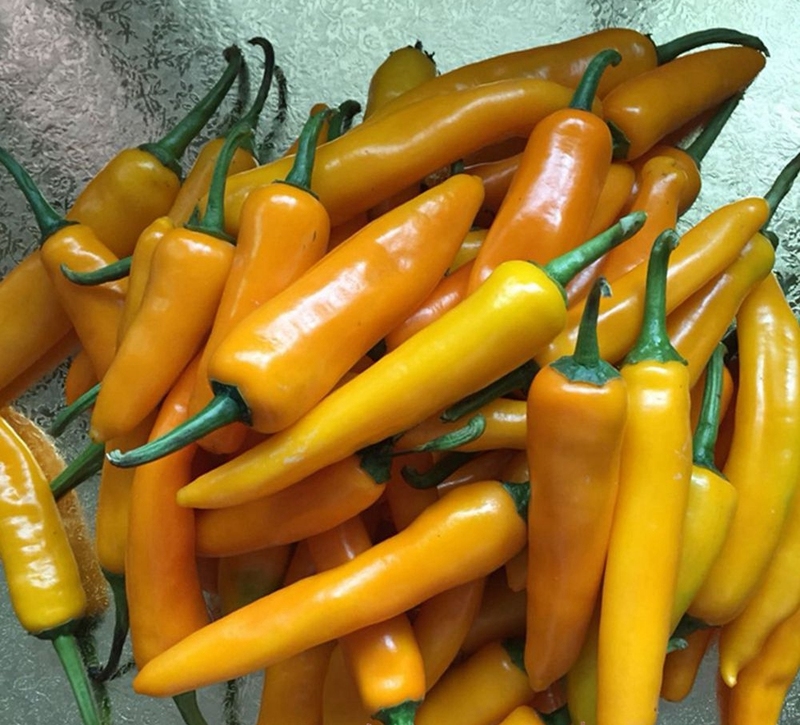 The Thai heirloom yellow is a yellow maturing variety of the Thai chilli pepper. They can be easily grown indoors as an attractive potted specimen, and during the summer months can be moved outside.